The mission of the Russian Business & Culture Society (RBC), part of the London School of Economics (LSE) is to unite all the Russian speaking students of London School of Economics. They provide support and advice to new and existing student members by connecting them with their peers, helping them to adapt to British culture, to improve their integration process and help them get the most out of their time in the cultural capital of the world. They also assist members in finding valuable career and business opportunities and help establish an effective alumni network that will serve them well in their future careers. They recently worked with the Fashion Society, another popular society at the LSE who host regular events for their members, including trips to the London Fashion Week exhibition at Somerset House. The collaboration saw the two societies bringing their members together for an event held at LSE, with a series of talks by senior students and industry professionals and networking. The purpose of the event was to inspire students and to build a bridge between the world of established fashion and young, promising talent. Social media plays an important role in the lives of millennials and creatives, and many of the society’s members find value in using it as a resource to build their network and promote their work. Great content is crucial for effective publicity and having professional photographs of themselves and their peers at events like these helps to boost their online presence and credibility. For the societies, content is important for building brand awareness, promoting themselves to sponsors and extending their reach in order to recruit new members. 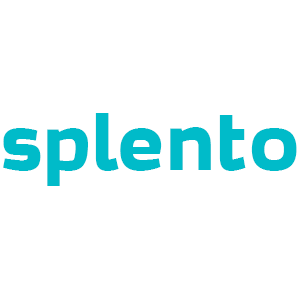 Splento was hired to cover the event, providing photos of the reception, main speakers, presentations, audience engagement and networking with the aim of showing the two societies and industries connecting.